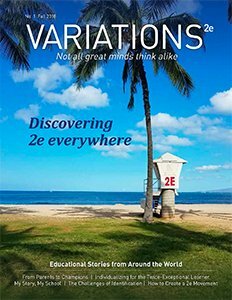 This series on ethnicity and 2e takes a closer look at how twice-exceptionality intersects with ethnic stereotypes, often adding another layer of “difference” to students. What does it mean to be an Asian American? Asia, with 17 million square miles, includes over four billion people in 48 countries, speaking more than 2,300 languages. In other words, there is plenty of diversity. Perhaps the biggest thing Asian Americans have in common with one another is mainstream American prejudices about who they are.